Journalist Tulika Pandey talks to Marina Petrov, on how she went from being a child prodigy in the former Yugoslavia to a renowned pianist and teacher. What is your first memory of piano playing? I started to play the piano from scratch at the age of six and over a year later was chosen to be taught by one of the greatest piano pedagogues, Professor Timakin, who regularly taught at the Moscow's Central School for Gifted Children. He came to Belgrade to give seminars and master classes, showing Yugoslavian piano teachers how to work with musically gifted children of different age groups. This period is probably one of my foremost childhood memories of piano playing. The probable reason for this was due to three months of intense training followed by my first piano solo recital at the big concert hall where I performed for around 45 minutes. This led to media related activities including my first appearances on TV and Radio as well as doing recordings. Alongside six of the most talented children in Serbia including Ivo Pogorelic, Mira Jeftic, Margita Stefanovic and others, I was the youngest person to be chosen to be trained by Timakin. Working with him for several months was tough, as I had to practise 5-6 hours a day for the first time in my life to achieve all the goals. Our piano lessons often lasted between one and half to two hours, which was mentally very demanding. He pushed me to the limit, as did my mother. I remember the hard work, the joy but also my tears. It was the first gruelling and intensive period of my early years. I was only 7 years old. What do you love about the piano? It is difficult to say because when you start as early as I did, it becomes part of your being and who you are. You learn to express yourself mainly through music and the piano. Music, piano, and I became inseparable. To me that is more than just love. You toured around the former Yugoslavia a lot when you were young. What was that like? To begin with, it was exciting. I was travelling around the country winning prizes at the festivals and competitions for young pianist and then doing concert tours from the age of seven. It was interesting to visit so many different places and play in various concert halls. Being on the stage was magical to me and I loved to perform. Meeting different people and audiences with whom I connected through music made me feel so admired. These experiences inspired me also in moving forward. However, towards my teens I started to suffer from exhaustion. Therefore, my interests changed and I was just happy to play music, learn more about different composers, their styles, and perform occasionally in public. In addition, my desire was to explore music further, instead of just taking part in programmes and competitions. I had to miss school because of the touring for one or two weeks at a time, which meant I had to make up for the schoolwork in my own time. It was difficult as my other concern was to do well in other subjects and not only music. To help me out my parents got me extra tuition for subjects like Maths and English as a foreign language as well as Music Theory. To achieve all my ambitions I had to study late into the night and often suffered from lack of sleep. Worried about my parents finding out I was studying late, I used to sometimes hide under the duvet with a lamp reading books at night. In my late teens, it was a little bit easier but I still had more restrictions than other children of my age. My childhood was not ordinary compared to my classmates. I could never really completely relax and let go as they could. Discipline was the word I lived by. However, I did have some great times relaxing with my family and friends. After strenuous tours, my parents would send me to recuperate at my grand parents' animal farm at the village in Banat (northern part of Serbia) or take me on holidays to the Adriatic Sea coast even during wintertime, which I used to adore. What was the physical impact of all the touring and training on you as a child? Because of the rigorous training during my childhood, I was very prone to injuries from overuse. My memories of constant physiotherapy sessions before going to school early in the morning and continuous visit to doctors since the age of 12 are quite vivid. In particular, I remember preparing for a Schubert Impromptu for another competition, which in today's system would be a diploma piece. Although, I played it well alongside with other pieces and won another 1st prize, it was agony playing it. I remember pain in my elbows and shoulders whilst performing. My mother later took me to Kiev to the hospital that specialises in occupational injuries of different professions, where I stayed for one month. After many treatments some of which were quite painful, the doctors warned me that I could risk damaging my hands for life if did not give them complete rest. The experience was terrifying for me personally and was a worrying time for my parents as well. My dreams of becoming a professional pianist were shattered. Would you choose another profession other than that of a musician? Interestingly enough, during that time when I was trying to recover from piano related injury as a child, I had a chance to reflect and think about the other career's choices. Apart from music and piano, I had many other interests. Literature and writing were my passion as well. I started to write poems and dramas at a very early age whilst still at primary school. At the age 15, I even won a competition at regional level for writing a poem. Furthermore, one of my dramas was turned into a production for the stage at my school where I did some acting for one of the roles as well. In the addition, I had experience with acting by playing the main role in the children's short film Little Pier when I was only four. My inclination towards medicine and helping people was also present. Therefore, I did have choices, but my love for music and piano would always prevail. What would you say was your biggest achievement? It is not so simple to answer this question. I had and still have many goals in my life that I want to achieve. Moreover, when I reflect on my past I conclude that no matter what I have accomplished in life it has all felt special to me at the time. From my view, the whole experience of being a musician has been my biggest challenge and achievement. Trying to juggle between my students, practising piano, writing and my other day-to-day commitments does not leave me much free time for myself. I am used to my busy lifestyle and often do not have weekends off. When free, late evenings are my favourite part of the day as I am most creative and can play the piano by myself. Since my early childhood I was mainly influenced by the great Russian composers and musicians including pianists such as Richter, Gilels and S. Neigauz. This is probably because of my ethnic background (my mother is from Kiev). 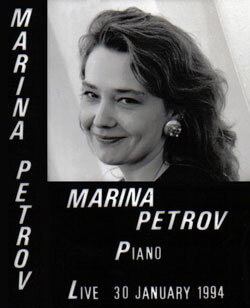 I still remember when she took me to the concert in Belgrade where Richter was playing Beethoven sonatas when I was 7 or 8 years old. The whole experience was so thrilling! The concert hall was full so they had to put some extra chairs on the stage. I was sitting a few feet away from the piano master and it felt magical! His performance of F minor sonata op.1 is still in my memory and it remains one of my favourites. Further on, my stimulus came from brilliant teachers and pianists such as Liza Suica-Babic, Olga Jovanovic and Lilika Petrovic whom I studied with in Belgrade in various music school and colleges. However, the biggest impact on my development as a concert pianist as well as pedagogical knowledge came mainly from Russian music scholars. 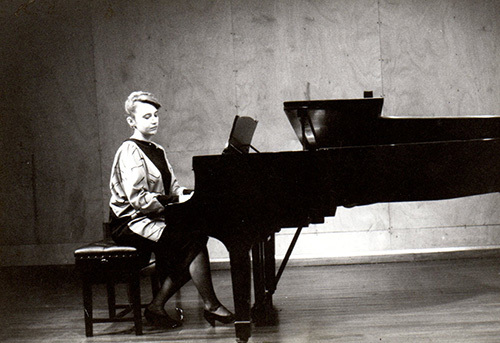 Interestingly enough, the pianistic school of famous French pianist Marguerite Long was introduced to me whilst studying in Kiev for a year with prominent Prof. Lidija B. Shur when I was 15. Moreover, meeting and working privately with Prof. Igor Lasko in Belgrade two years before entering Moscow Conservatoire P.I. Tchaikovsky, was in retrospect of utmost importance. He was a remarkable pianist and a talented teacher who introduced me to piano teachings of famous Russian pedagogue Yaakov Zak. I think I have inherited Prof. Lasko's attitude towards solving most difficult piano techniques problems in a most straightforward manner. His master classes would usually start with words like "let's focus on the style and its music expression" as well as his comments on most difficult piano technique pieces "there is no problem ... there is always a solution". 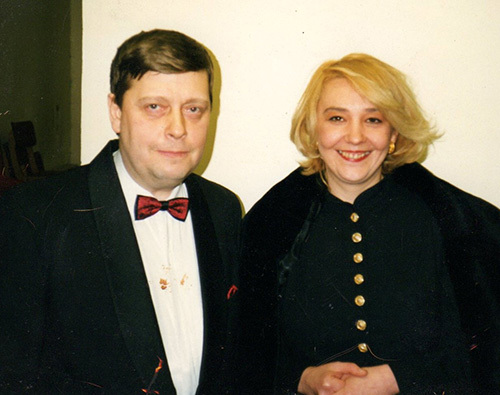 In the early 80s when I had moved to Moscow to study the piano further, I was fortunate to befriend the most prominent Russian contemporary musicians including Andrei Gavrilov, Alexander Toradze, Alexander Slobodianik, Victor Tretiakov and many others. In addition, I took piano lessons privately with Vadim Sakharov. Many of my fellow students at the conservatoire were very gifted people and laureates. All this had a great impact on my development as a musician seeking greater knowledge and on the improvement of my performance. Since moving to London and for the last twenty years or so, I have been focusing on the development of my pedagogical skills. Meeting Carola Grindea in 1998 and working together on the development of ISSTIP (International Society for the Study of Tension in Performance) has been of great value. She had a brilliant mind, warm personality and I found our friendship quite stimulating in many respects. 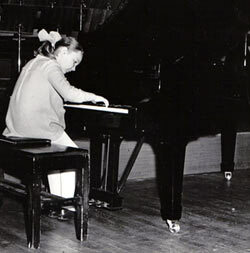 In my view, the legacy that she had left in piano pedagogy in the UK is of immense significance. Her concern as well as mine in the field of Musicians' Occupational Injuries was of prime importance. She deepened my awareness further, encouraging me to write and give seminars on those matters. Sadly, she passed away in 2009 and I miss her very much! My main concern at the moment is in the piano pedagogical field and prevention of occupational injuries. Unfortunately, those injuries still happens quite often, from amateurs to professionals, from children to adults and beginners to diploma level students. Those subjects are so complex. Therefore, my intensions are to continue providing more seminars and workshops on the matter as well as offering master classes on various styles and composers. Writing more articles on pianistic issues and the technique is also on my agenda.